NASHVILLE, TN. 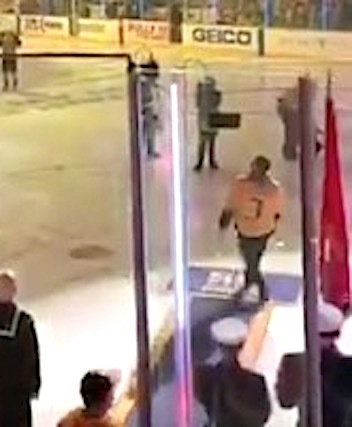 (THECOUNT) — Gavin DeGraw fell hard while exited the ice after singing the National Anthem at Bridgestone Arena on Saturday for Game 5 of the Stanley Cup Playoffs. The “I Don’t Want To Be” hitmaker hit up Bridgestone Arena Saturday for Game 5 of the Stanley Cup Playoffs between the Stars and Predators. He was there to sing the national anthem and absolutely KILLED. But as he was hyping up the crowd … he took one step backwards too many and BAM!! !, reports TMZ. Gavin’s face met the ice and it looked like it was a hard collision. Tough break for the local kid. He not only lives in Nashville but he also owns the very popular joint “Nashville Underground” … a massive 4-level joint and bar just blocks away from the arena and on the famous Honky Tonk Highway, reports TMZ. LOS ANGELES, CA. (THECOUNT) — Rapper Tyga was dragged, kicking and screaming, out of Floyd Mayweather‘s birthday party Saturday night, and that was just the beginning of the drama. Tyga, 29, who was escorted out of the bash – by his neck – can be seen on video reaching for a sidearm that was placed in the waistband of a large man appearing to be his bodyguard. Tyga, whose real name is Micheal Ray Stevenson, was at the Sunset Room in Hollywood, celebrating Floyd’s 42nd, when someone in the crowd got into it with the rapper. It’s unclear what they were beefing about, but whatever it was, security wanted Tyga out, and he was grabbed by the neck yanked out of the clu, reported TMS Sunday. Once outside, Tyga can be seen reaching for, and almost removing the weapon, from the security guard’s waistband. Though Tyga never actually took possession of the firearm, he got very close. It took awhile for things to calm down, but eventually, Tyga and his crew left the club, reports TMZ. To watch the festivities click on any picture on this page to jump to video. 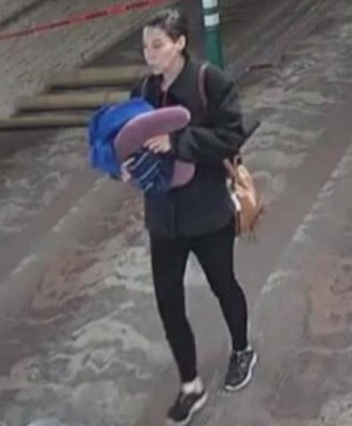 Officials in Arizona say a woman was caught on security video abandoning a newborn child on a restroom changing table inside the Tucson International Airport Jan. 14. Late night show host Jimmy Kimmel, an outspoken Donald Trump opponent, has found himself at the center of controversy after a video emerged of the host interacting with several women in a “man on the street” segment. In the cringe worthy footage, Kimmel can be seen propositioning the women during the blue comedy skit. Chants of “hypocrite” have bubbled over on social media. 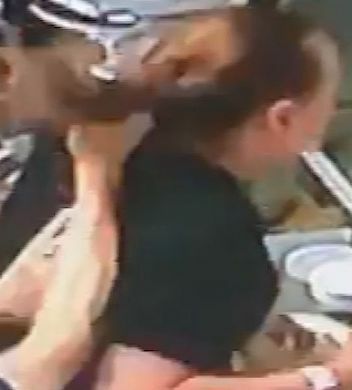 (WIS) – Jiguang Yang, an employee of a popular restaurant at the Village at Sandhill, SC., is facing charges after authorities say he grabbed server, Cristina Surina, by her hair and pulled her to the ground. The April 19 incident at Red Bowl Asian Bistro was recorded on surveillance video. Jiguang Yang, 68, was arrested and charged with third-degree assault and battery on Friday. Yang, according to the Richland County Sheriff’s Department, is the father of the owner of the restaurant. VIA: A heart-stopping incident that was captured on video Saturday at a Vancouver area wharf is getting a lot of play on YouTube and Twitter. 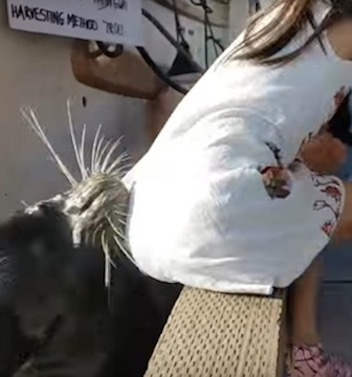 The video, posted by Vancouver resident Michael Fujiwara, shows a sea lion suddenly pull a little girl into the water at Steveston Wharf in Richmond. The marine mammal appears to have been drawn to the dock by adults who were reportedly throwing bread crumbs into the water. The woman in the following Youtube video actually thinks she’s about to receive her 15 minutes of fame, when in reality, she just earned a lifetime of embarrassment. 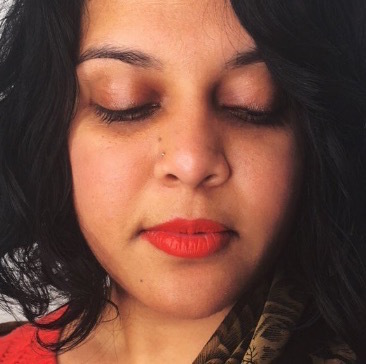 Shree Chauhan live streamed on Periscope while she ambushed and bullied Press Secretary Sean Spicer as he shopped at a D.C. Apple Store. During the video, Spicer kept it classy as he dealt with the rude woman who berated him for several minutes. Since attempting to take Spicer to task, Chauhan, 33, has received a barrage of hate on social media. 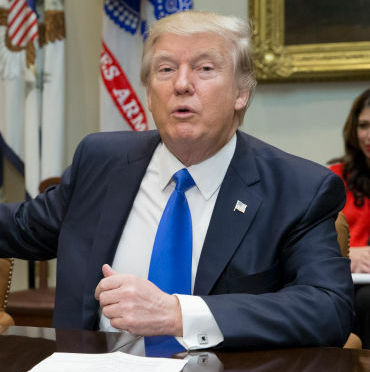 President Donald Trump is taking a ribbing on Twitter over comments he made during his marking of the beginning of Black History Month. Below find a complete transcript of Trump’s comments. During Trump’s speech, he seemed to be praising noted black activist, Frederick Douglass, as if the famed abolitionist is still alive. Douglass died in 1895, and is popular to this day to those in the civil rights movement. Well, the election, it came out really well. Next time we’ll triple the number or quadruple it. We want to get it over 51, right? At least 51. 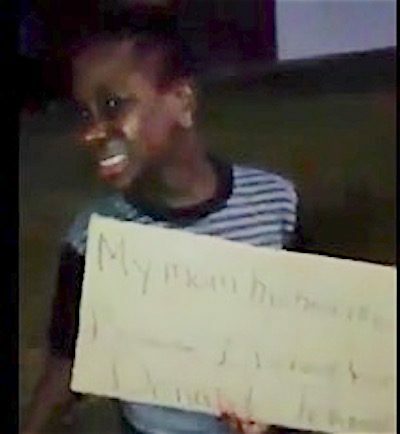 In what some are calling flat out child abuse, a video has surfaced depicting a young boy being berated by his mother over his support of president-elect Donald Trump. 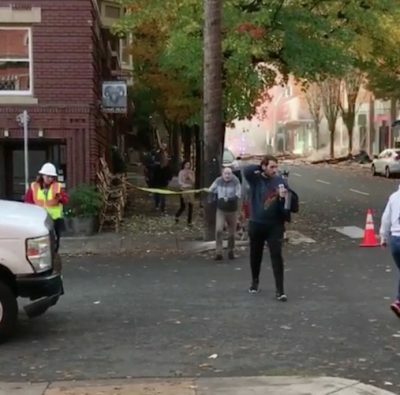 A series of explosions rocked downtown Portland this morning. No immediate reports of fatalities have been reported. The blasts were said to be gas related. Injured people were being transported to area hospitals.